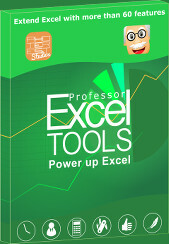 A troublesome topic when it comes to creating large Excel models is Error Checking. 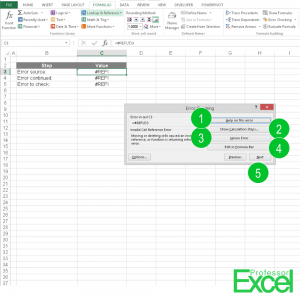 Excel offers an Error Checking function in the Formulas ribbon which let’s you jump to the next error. 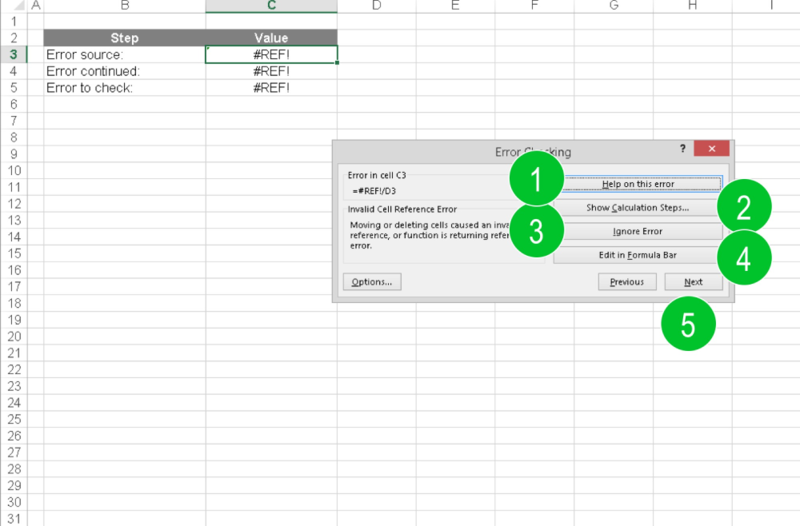 Error in this case are all the cells showing an Excel error message as #DIV/0!, #N/A, #NAME?, #NULL!, #NUM!, #REF!, and #VALUE!.